166) Bike series (15/15). Our long 15-part bike series concludes with this magnificent shot outside the Greenwood post office. 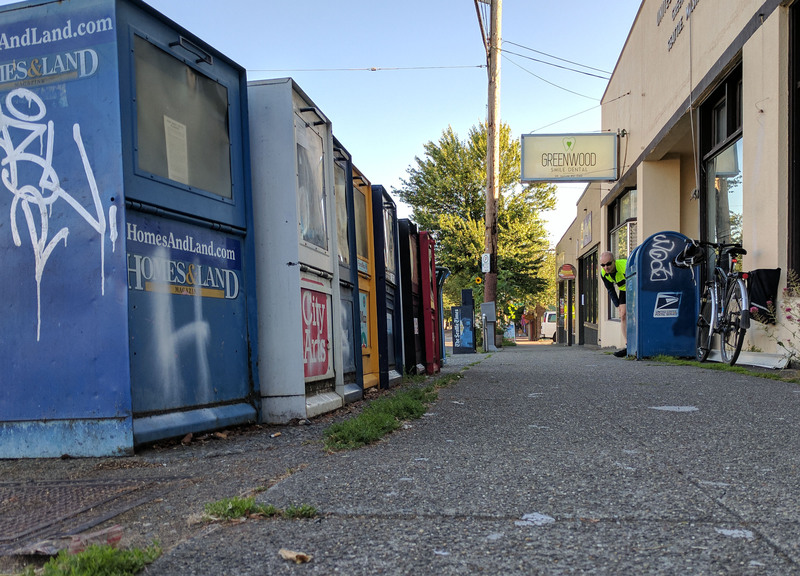 Look at how all the newspaper boxes are standing at attention, ready to receive their daily orders from the commanding mailbox! Oh yeah, they know who’s calling the shots here!